This exercise works the extensor muscles of the wrists : Extensor carpi radialis longus, extensor carpi radialis brevis, extensor digitorum, extensor digiti minimi, extensor carpi ulnaris. 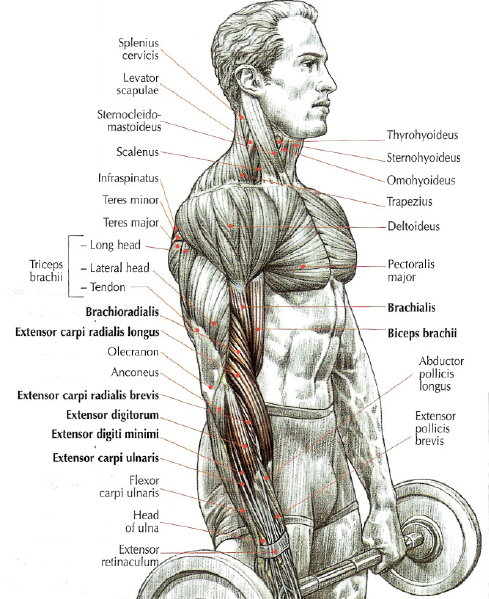 And it works also the biceps, brachioradialis and brachialis. Note : This an excellent exercise to strengthen the wrist joint, often weakened by an imbalance caused by the predominance of the flexor’s wrists muscles over the extensor’s wrist muscles. 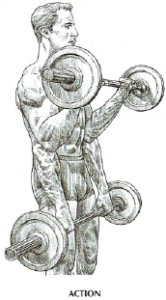 For this reason a lot of boxer and bench press champion do this exercise to prevent the wrists from vibrating with extreme weights.